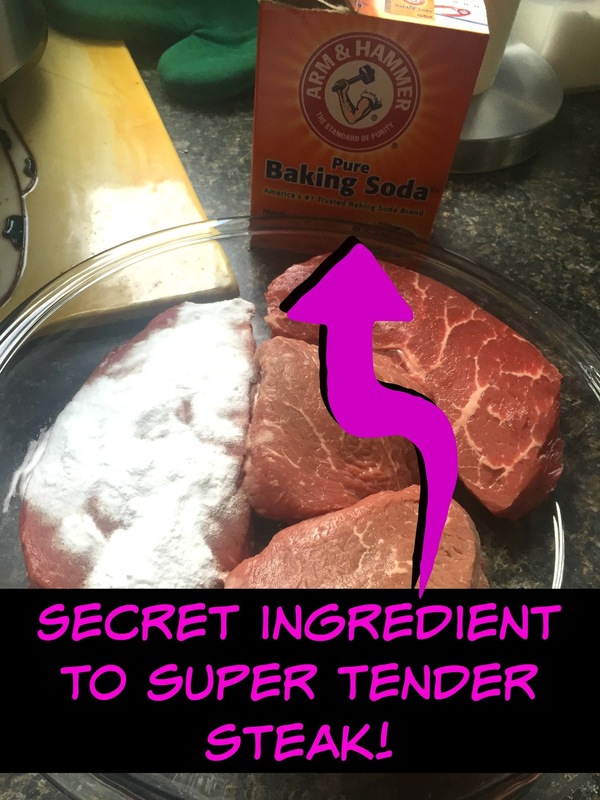 Recipe: Super Secret Ingredient to Super Tender Steak! | The Food Hussy! 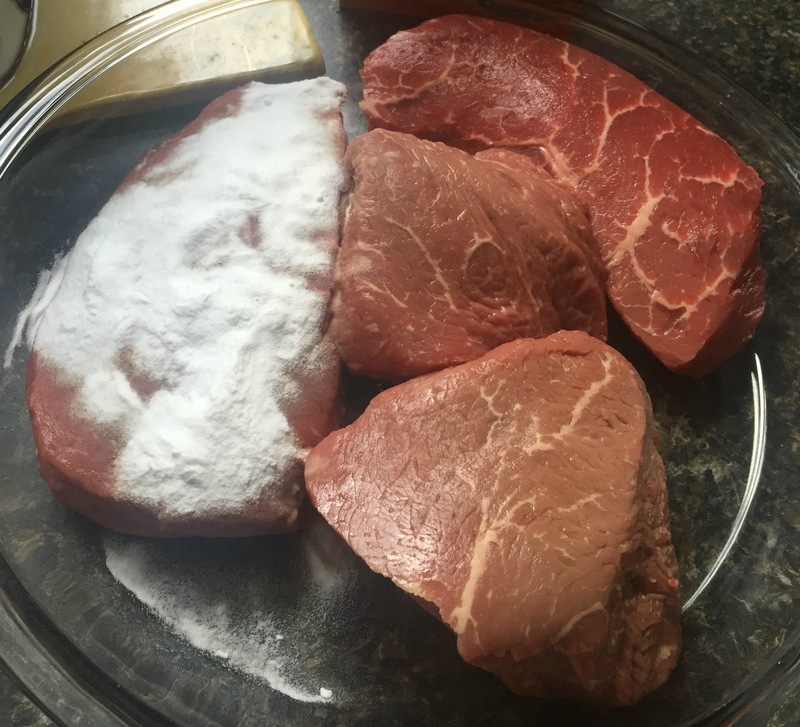 Recipe: Super Secret Ingredient to Super Tender Steak! So I love tips and tricks - sharing little things that make life easier. I saw one recently that just seemed super-odd - but super-intriguing!!!! 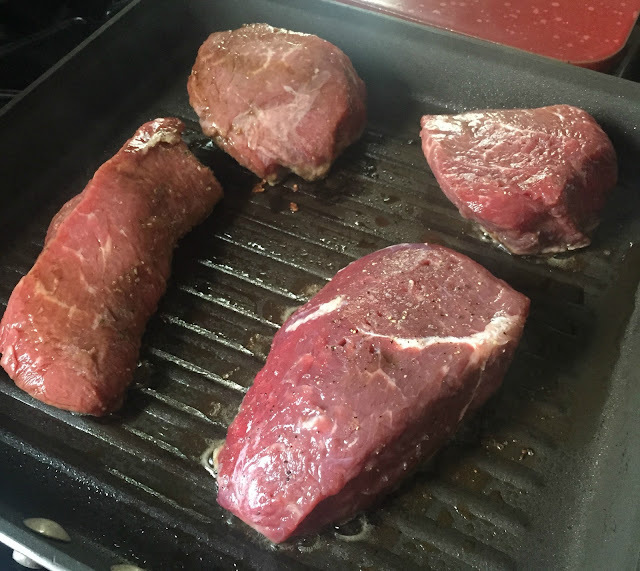 Ever have a cheap cut of meat and you wish you could tenderize it - but how? Baking soda! I saw this tip (can't even remember where) that said to coat your steak in baking soda and leave it for an hour or so - then rinse and grill. I got two different cuts of steak so I could try a couple different kinds. The baking soda steaks are on the right - and you can see a noticable color difference in the meat - but would it taste different? 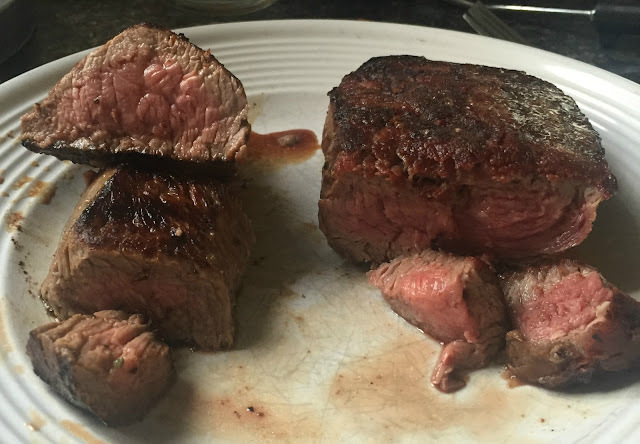 Here's the smaller cut - grilled up to a perfect medium rare (find out that tip here). The baking soda steak is on the right. 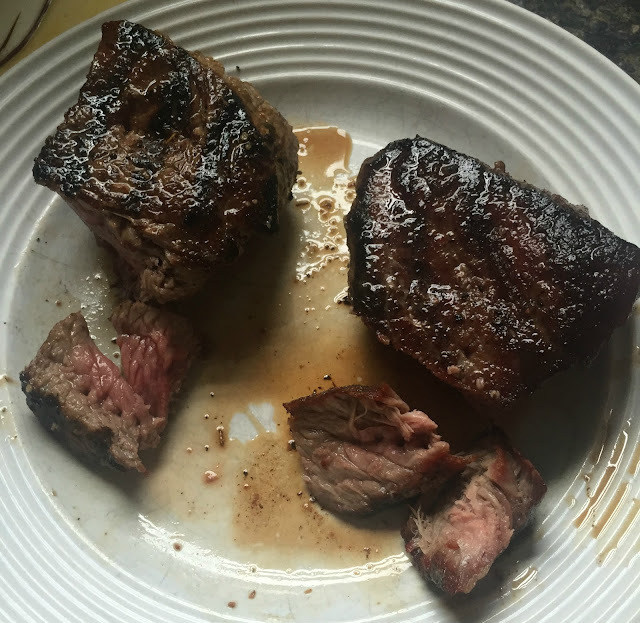 Turns out neither of these steaks was incredibly tough - but there was a noticeable tenderness in the baking soda version! The larger cuts turned out the same - (look at that beautiful crust - yum - drooling now) - with the baking soda version noticeably more tender! So there you have it - tenderize steaks with one simple ingredient you already have in your house! Baking soda!